You're pretty much sleeping with the wildlife in this cabin, which sports a traditional palm thatched roof and wooden floors. You even get walkie-talkies in order to call the Canopy Butler. 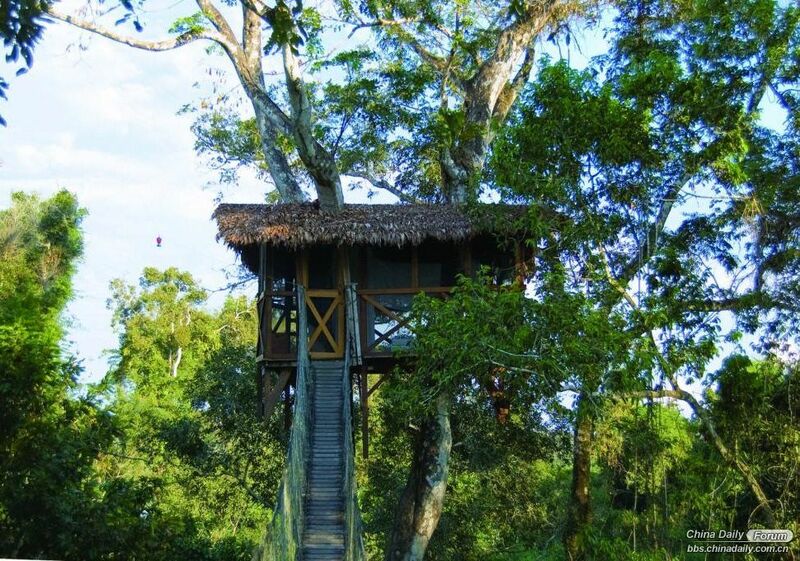 The room is linked by a suspension bridge to the resort's quarter-mile 103-foot-high canopy walk (of which you'll get a spectacular night-time tour). 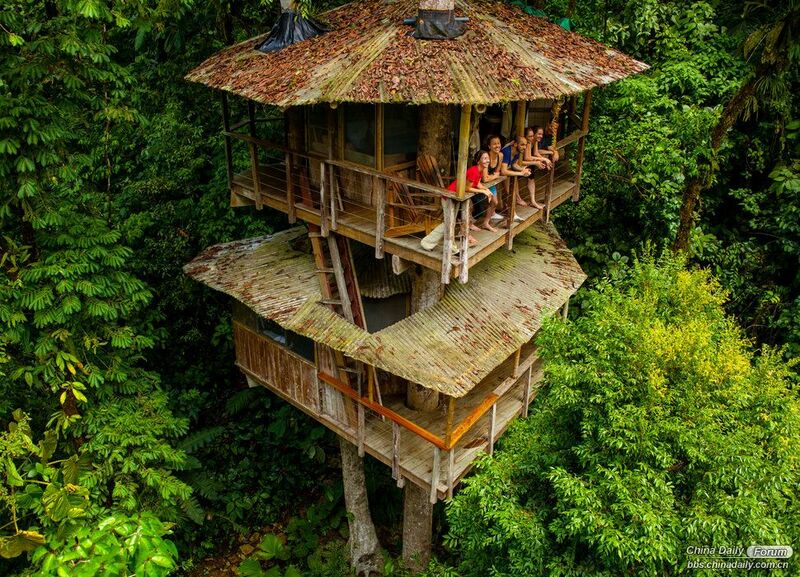 Not to be confused with George and Estelle's "Del Boca Vista," this is a sustainable treehouse community (AKA a commune of earthy young expats) situated up to 90 feet off the forest floor, in the canopy of the Costa Rican rainforest on the Pacific Coast. 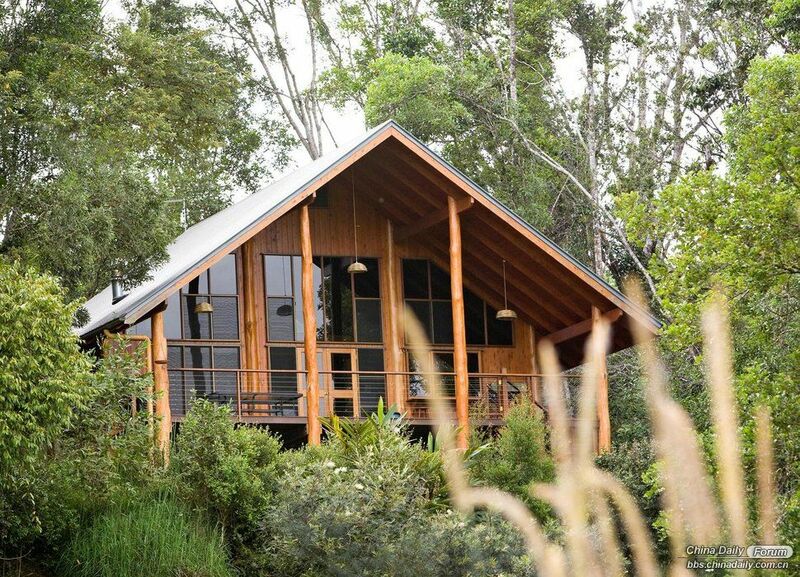 They're nice enough to let you join them in surfing, hiking, and zip-lining between treehouses; you could also buy a lot and build your own. 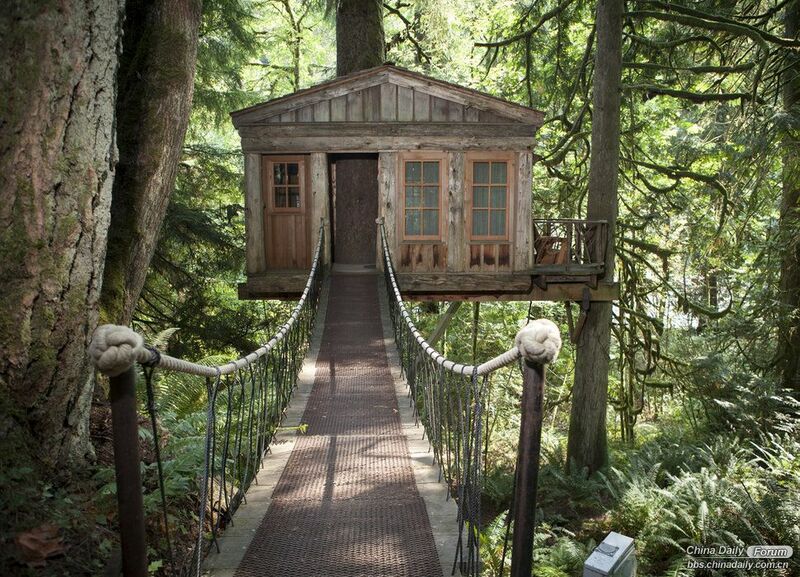 The work of a "world-renowned treehouse builder," this B&B just outside Seattle boasts rustic-but-modern cabins decorated with leather chairs, cedar beds, and private balconies. The place also rocks a summer concert series and serves as a tourable nature conservancy. 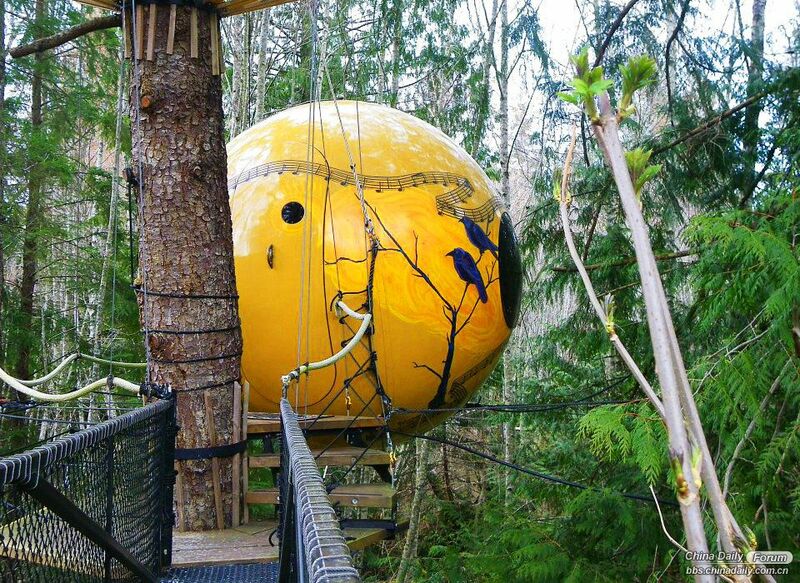 You'll be gently rocked to sleep in a floating cedar/spruce orb dangling in an old-growth forest. Not bad, eh? The spheres are "suspended like pendants from a web of rope," 10 to 15 feet above the forest floor. This feels more like staying with your highly eccentric relatives than being in a hotel, as the family-run business used to sell T-shirts to guests and call them “Tree Musketeers” rather than charge for accommodations. The rooms don’t have locks -- I suppose you’re relatively safe out in the middle of 36 acres near the Siskiyou National Forest. The “treesort” also features a horse-breeding ranch and over a mile of ziplines. 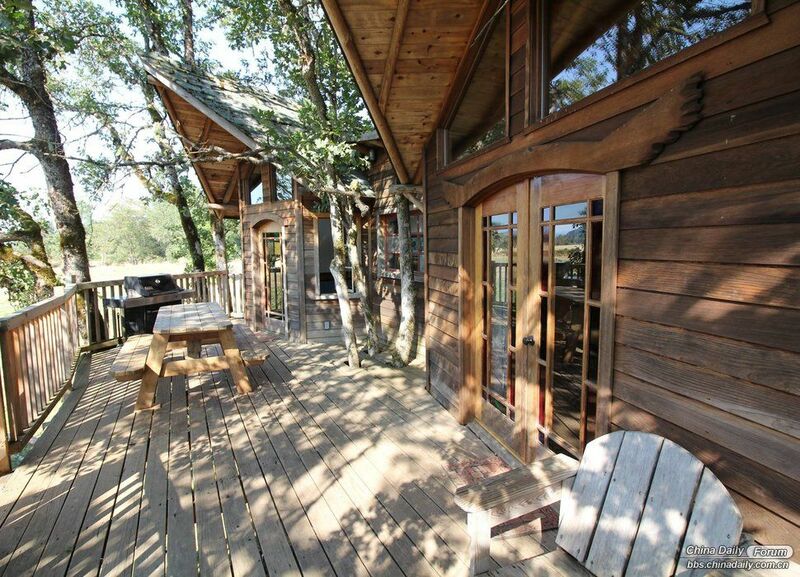 These cabins sit in the tree canopy above 100 acres of rainforest along the Ithaca River. The land surrounding the resort produces quadruple the amount of fruit as the areas around it, which attracts extra-rare wildlife like Lumholtz Tree Kangaroos and Green Possums -- who often come wandering across your balcony to say hello. Though not technically a hotel, this eco-community in Bali may be the grandest collection of treehouse vacation homes in the world. 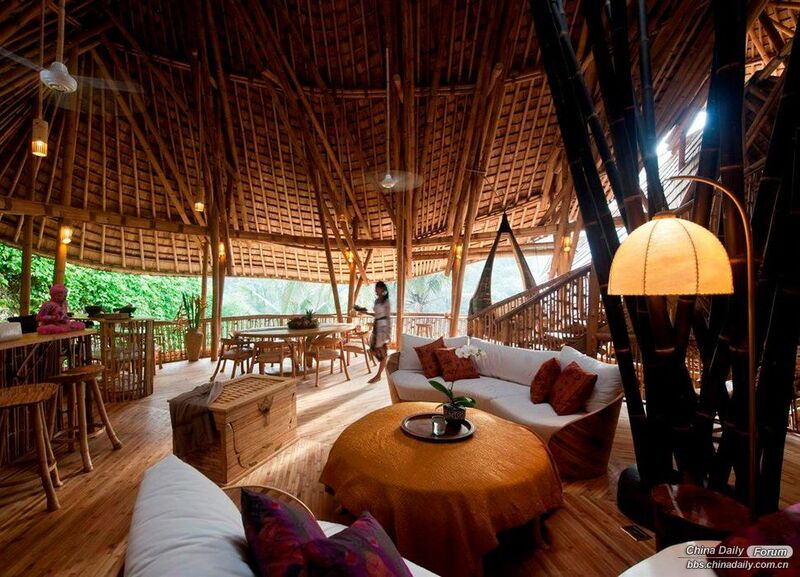 You can actually rent a six-story bamboo villa -- and since most of the them don’t have what you’d call “walls,” you’re basically sleeping in the jungle but in the complete lap of luxury.